He received a European style education in the Scottish Church College. During his years in the college, Abhay Charan De was a member of the English Society as well the Sanskrit Society. He graduated in 1920 with majors in English, philosophy and economics. In 1922, when he first met his spiritual master, Bhaktisiddhanta Sarasvati Thakura, he was requested by him to spread the message of Lord Chaitanya in the English language. In 1932 he became a formally initiated disciple of Bhaktisiddhanta. In 1944, he started a regular publication for which he acted as writer, designer, publisher, editor, copy editor, and distributor. 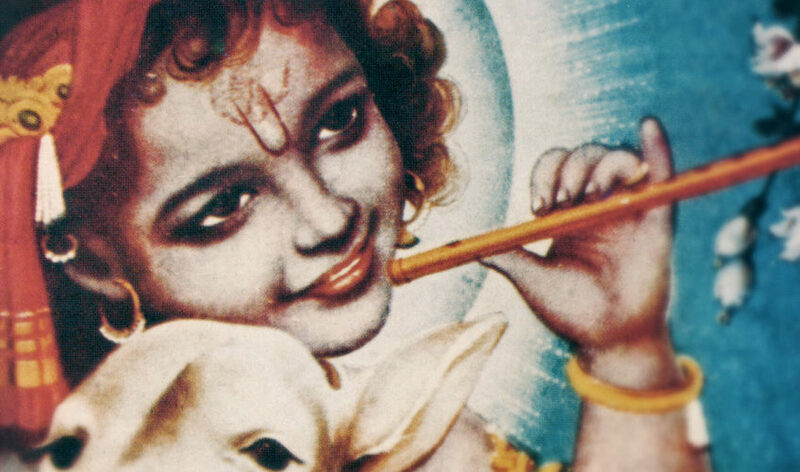 In 1947, the Gaudiya Vaishnava Society recognized his scholarship with the title Bhaktivedanta, (bhakti-vedānta) meaning “one who has realized that devotional service to the Supreme Lord is the end of all knowledge” (with the words Bhakti, indicating devotion and Vedanta indicating conclusive knowledge). His later well-known name, Prabhupāda, is a Sanskrit title, literally meaning “he who has taken the shelter of the lotus feet of the Lord”, also, “at whose feet masters sit”. This name was used as a respectful form of address by his disciples. From 1950 onwards, he lived in the holy town of Vrindavan, where he began his commentary and translation work of the Sanskrit work Bhagavata Purana (Srimad Bhagavatam). In 1959 he took Vaishnava renunciate vows, sannyasa; following this he single-handedly published the first three volumes covering seventeen chapters of the first book of the Bhagavata Purana (also known as the Srimad-Bhagavatam), filling three volumes of four hundred pages each with a detailed commentary. He then left India in 1965 to the USA obtaining free passage on a freight ship called the Jaladuta, with the aim of fulfilling his spiritual master’s instruction to spread the message of Lord Chaitanya around the world. In his possession were a suitcase, an umbrella, a supply of dry cereal, about eight dollars worth of Indian currency, and several boxes of books. 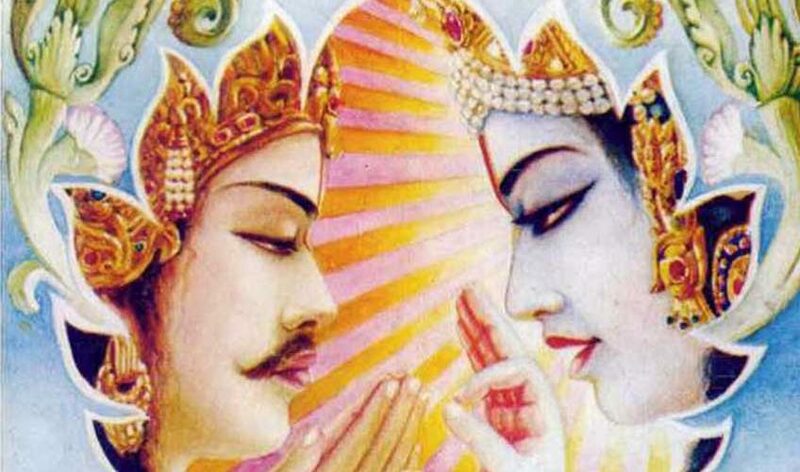 From these humble beginnings he spread the Gaudiya Vaisnava teachings throughout the world circling the globe fourteen times on lecture tours that took him to six continents. He established many temples and centers, accepted thousands of disciples, and published over eighty authoritative books. 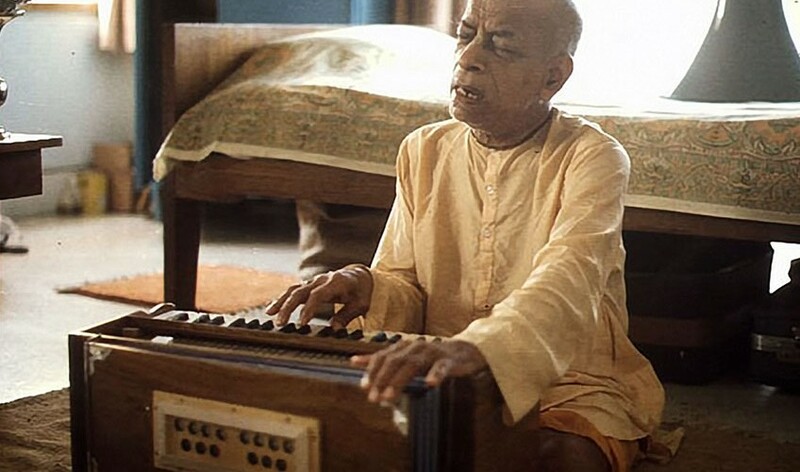 Through his mission, Bhaktivedanta Swami followed and communicated the teachings of Chaitanya Mahaprabhu and introduced bhakti yoga to an international audience. 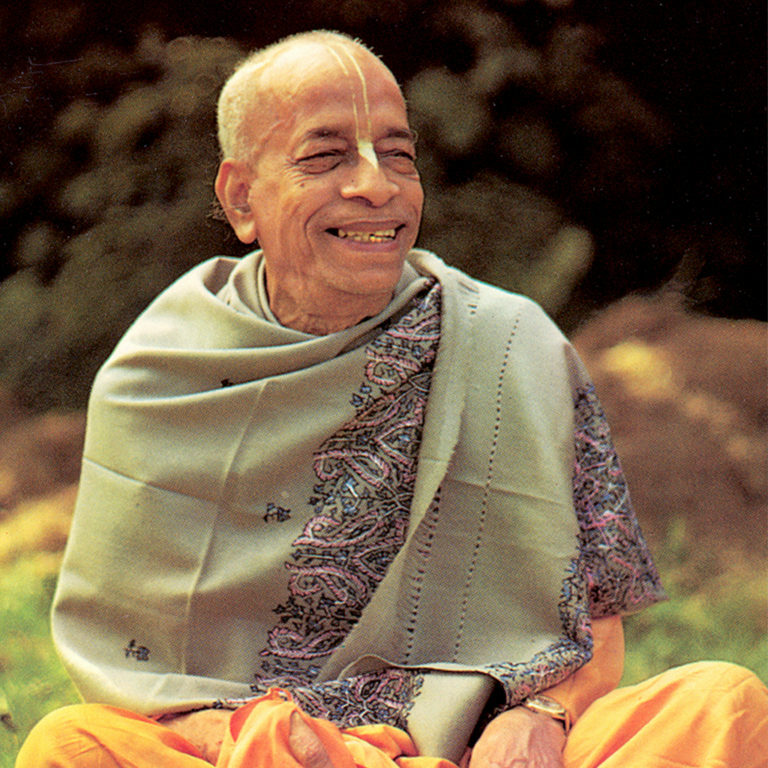 Bhaktivedanta Swami left this world in November 1977. Today, a number of disciples of his Divine Grace AC Bhaktivedanta Swami Prabhupad are carrying on his mission to pass down the science of yoga. Jagad Guru Siddhaswarupananda Paramahamsa, one such disciple, has established the Science of Identity Foundation to spread yoga wisdom.